Can anyone read Chinese for me?? Hi there, just wondering if anyone can read the name of the following tree. It is in "Chinese" I am told. It was mixed in with a imported shipment from Taiwan. 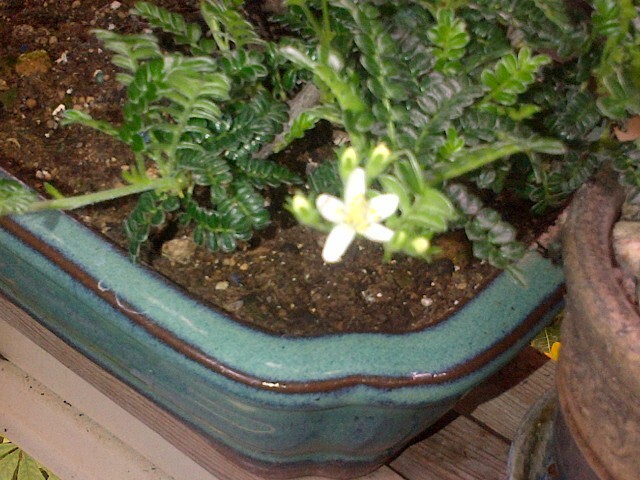 Easy to keep under lights, and has bloomed over the winter indoors. I have not tried to make it fruit/seed. The flowers are white with yellow pollen? A nice woody trunk and branches. So...the leaves nor flowers have any scent other than vegatation smell. No thorn/prickles or spines. I am hoping the Chinese name can narrow down my search. Re: Can anyone read Chinese for me?? Operculicarya pachypus i think. 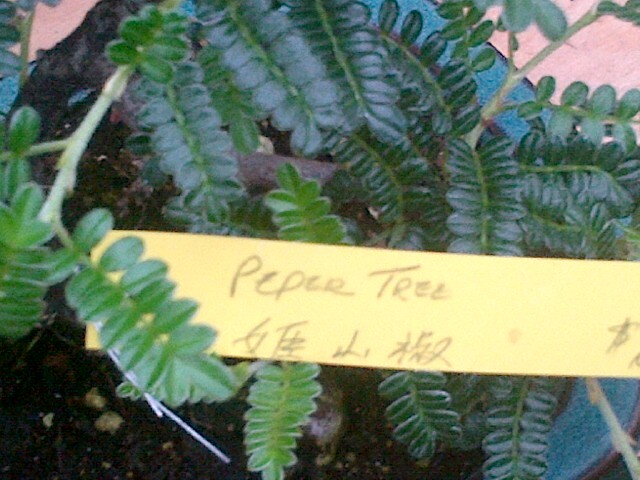 It is mostly labeled as zanthoxylum piperitum but you probably have a young plant not showing all of it's adult features.